Need some extra seats? 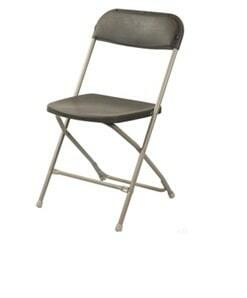 Our gray plastic folding chairs are perfect for seating your guests! We deliver chairs folded and stacked or you can choose our optional setup and strike service and leave the setup and folding up to us! Need smaller seats for the kiddos? Check out our Kids Chairs!